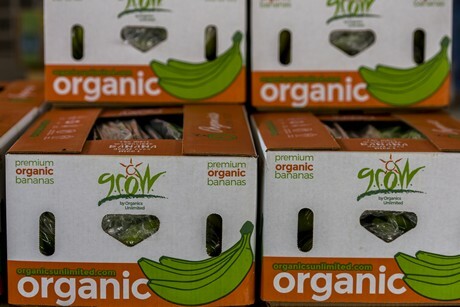 Organic banana growers say that meeting demand is often their biggest challenge. They point out that demand is increasing in the organic category, while consumers are also on the lookout for more point-of-origin information as well as the social responsibilities companies set out to take care of. 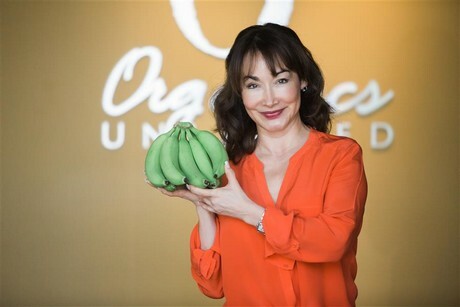 "Bananas have long been one of the most popular items available in the produce department because of their convenience and nutritional value," said Mayra Velazquez de León, President and CEO of Organics Unlimited. "Organic bananas have quickly been growing in popularity, which is very exciting for companies such as Organics Unlimited. Consumers like to support companies and brands that give back, especially when it comes to social responsibility. That is what our GROW label bananas focus on – making positive social change. In fact, one of the biggest challenges organic banana growers in the industry face is keeping up with demand." Velazquez de León also mentioned that organic bananas are distinct from conventional bananas, declaring they are indeed healthier. "Many people believe the misconception that conventional bananas are the same as organic because of the peel," she said. "Harsh chemicals used in conventional farming leech into the soil, which means they eventually make their way inside the banana. Studies have shown that organic produce is healthier and it is also better for the environment since it avoids producing chemical run-off into precious water sources." January is the middle of the slower production season in Organic Unlimited's main growing district in Colima, Mexico. However, the company also sources organic bananas from elsewhere in order to meet demand. 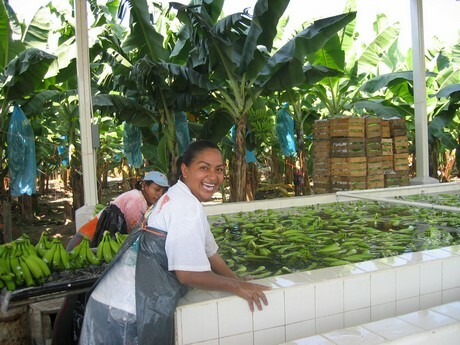 "During the winter months the supply is bolstered by organic bananas from farms in Ecuador," Velazquez de León shared. "This is because Ecuador remains much warmer throughout this time of year. As a result, supply to North America at the moment is both healthy and strong." She added that the boxes that the company introduced two years ago received positive feedback and are still in circulation. "Organics Unlimited released new packaging two years go which, at the time, included boxes, stickers and tape and it was quite successful. Retailers especially liked the fact that the boxes are bright and colorful while serving as retail displays." One of the foremost programs for Organics Unlimited is their GROW program. GROW, which stands for Giving Resources and Opportunities to Workers, was launched back in 2005 and is an initiative to provide returns to growers and to help their communities. According to the company, social responsibility is a key factor and something that is becoming more significant for consumers. "Consumers want to know where their food comes from and how it was grown," Velazquez de León explained. "Organics Unlimited is an eco-friendly and sustainable company that helps communities through its GROW social responsibility program. Through GROW, we are able to provide services such as health clinics, dental and vision care, education and educational scholarships, clean water and more. Last year, we were able to expand our health care program. More than $2 million has been donated to support programs in the communities surrounding Organics Unlimited’s organic banana farms. The GROW program also features a Disaster Relief Fund, which helps communities in need after natural disasters strike."